Rapsodia is a single free verse poem separated into seventeen sections. The whole is a perfect example of a rhapsody, defined as an “enthusiastic and extravagant declaration or composition in an elevated tone; emotional or irregular musical piece”. The text encompasses several different themes: a reflection on the nature of poetry, an examination of the passing of time, the tension between language and experience, the relationship between love and artistic expression and more generally between the visible world and writing and the poetic word as a manifestation and unique expression of an autonomous universe. 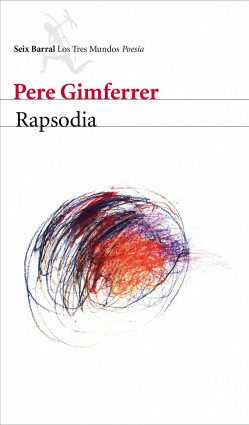 Pere Gimferrer is an extremely prestigious author, one of the most important living poets in contemporary Spanish literature. This new extended poem has love as its central theme but also offers the reader much more including reflections on subjects such as the passing of time, art and writing.